Time was looming to expose Brin to the outside world and, although I was longing to show him around to explore, I also knew that this too would be one of his famous learning curves. I had befriended a lady named Sue, who also cared for a dog from Afghanistan. This dog is named Kilo and was found just outside of Kabul and had also survived many awful experiences. 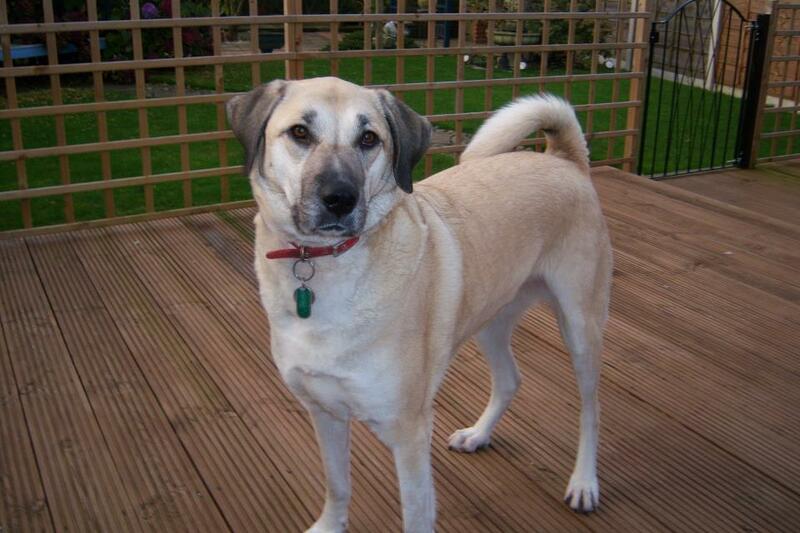 Nowzad also brought her to the UK. Sue had been my ‘rock’ for many months, especially when it was getting close to Brin coming home. She shared with me things that she had been through and supported me when I was feeling nervous about the future and living with him full time. She was, and still is, one of my closest friends and we have always worked hard together to promote the stories of so many dogs and cats that are waiting for the same chance as our two. Sue told me that Kilo always taken out on two leads. These are powerful dogs who will react instinctually and by doing so the ground can literally disappear from under your feet. They are also canine Houdini’s, slipping out of collars as if coated in butter. So, I heeded her warning and Brin was suitably decked out with collar and harness, two leads and one spare incase of the swift chomp action he executed so well. I decided to take him to a small patch of land first. 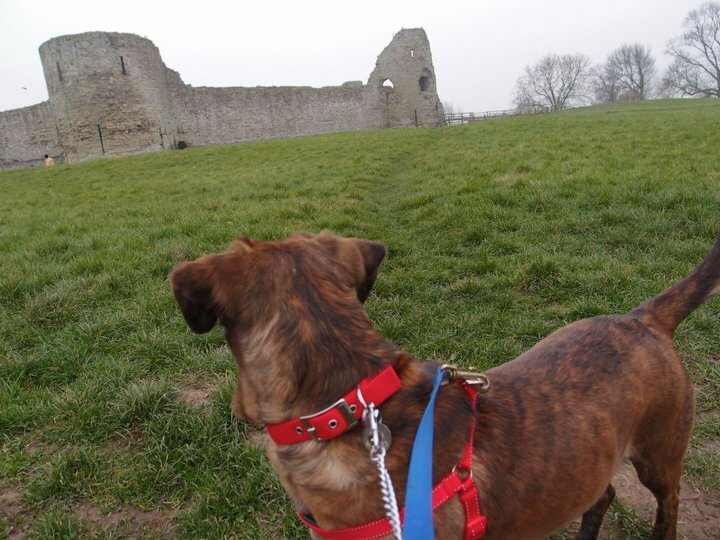 Pevensey Castle has sloping grounds with pathways leading well away from the main drag. I felt that this would be a good place to start as it gave me areas to move to if Brin took a dislike to anyone, or their dog. Things went well to begin with and Brin spent ages sniffing the grass and anything else that was in his path. 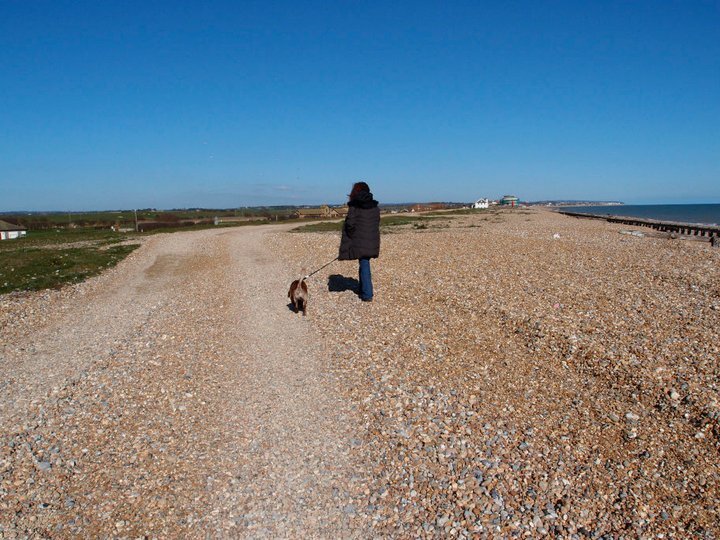 My other three dogs have always been wonderful on walks and never, in all the years we have had them, has there ever been a fight or aggression shown towards people or animals. Brin, it seemed, was going to be a very different kettle of fish. This showed when he spied his first dog, way in distance. I wasn’t fully prepared for the shear strength it would take to hold him back. He rose up into the air, growling and barking so loudly that everyone turned to look. Now I knew why two leads were needed! They were pulled so taut I really felt they would snap. Brin, who had hardly made a sound in quarantine, and barked only occasionally at home, was now in full throttle. I held onto him with all my might and eventually he began to calm down. What I did notice was, however, while all the main action was going on up front that his tail was wagging as well. It was as though he was totally confused as to how to react to other dogs and that this was not aggression at all… but fear. Brin was actually frightened and this was his way of saying ‘back off’. So, for the next few weeks I took him to a place that was often deserted in the winter months not only to allow him to get used to the lead but to gain the necessary strength so that when faced with such a situation again I would be ready…hopefully!